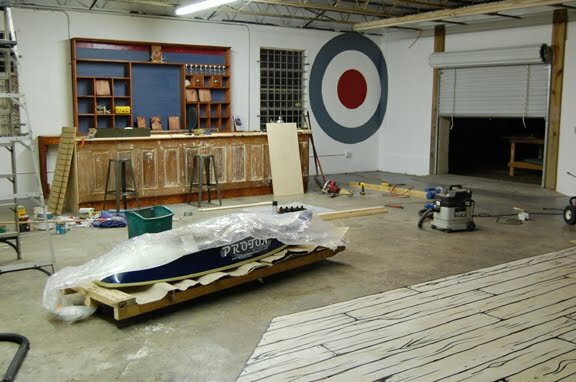 SC&K Shop Opening Date Almost Set. 'close enough is good enough'. We might actually not be that close, but that's okay too. Shop hours will be as follows..
way to you. For the most part we will still have merchandise delivered to our current address, but letters and USPS will be deliverable to 414 Bonaventure Rd. Our opening artist at the SC&K Gallery will be Matthew Cooper. The Sculpture and Designs of Matthew Cooper will run for 4 weeks. If you are a paddling artist we would be very interested in talking with you. We are currently lining up an exhibition roster for the coming season. We are scheduling a Painting Party to work on the exterior of the building for Saturday, March 5th from 11:00-4:00.. weather permitting. Thank you to all of our local customers and friends who were willing to donate their time at the last work day. It was a tremendous assist. And finally...The Mega Proton is in stock and ready to shred. 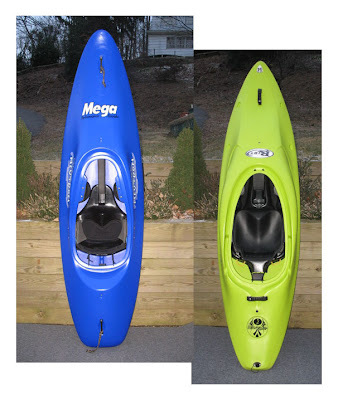 We will, as usual, we be pretty heavy in Mega Kayaks. We will have a diversified range of sit down paddling boats, from wave and surf skis to rec boats, fish on tops, canoes and sea kayaks. A 2-disc celebration of canoeing, showcasing top single-blade paddlers in their pursuit of remote wilderness journeys or challenging white water. 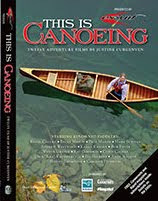 Multi-award winning film maker, Justine Curgenven captures the essence of canoeing in 12 short films. From open canoe slalom races to 1,000 mile birchbark expeditions, Justine provides insights into the diversity of the sport and the influential people who tell its story. "Turn around and take one step forward." "I don't surf or climb, or know who founded various outdoor clothing and gear companies. I've never been out of the country or sailed an ocean. But I do know I enjoyed this film. 180 Degrees South appealed to my sense of adventure; that tiny impulse in the back of my brain that sometimes interjects ideas like 'forget the daily grind, leave it all behind and go explore nature'. If more people just would listen and look at the world around them, appreciate the land we call home, do what you can to preserve a little bit of it.... the world would be a much better place." Also available on Blue Ray . Kayak Fishing: The Ultimate Guide 2nd Edition has everything you need to know to get out there and catch the big ones! 10 % off to Captains Blogg readers. 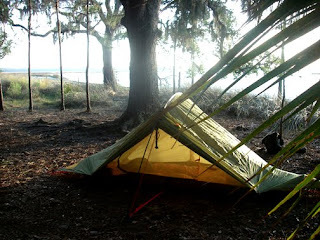 My favorite tent for leading extended trips on the Georgia coast quickly became the Exped Solo Vela 1. After selling some photos to Outdoor Research, the USA importer for Exped back then, I added the Airmat and the Wallcreeper sleeping bag to my overnight ensemble. 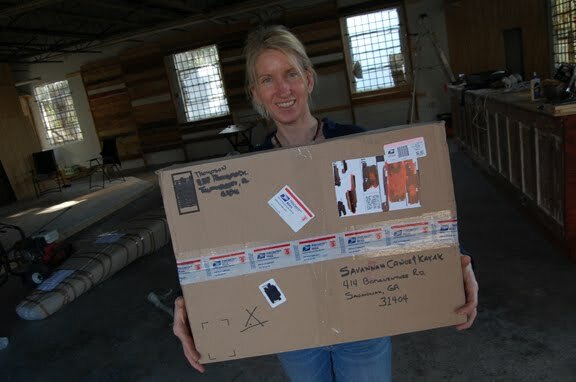 I was a very happy camper and have followed the progress of Exped ever since. On our River Ganges India trip, we tried some other Exped products, all of which we thought were very well designed and functional. We particularly found useful the Exped Multimatt. 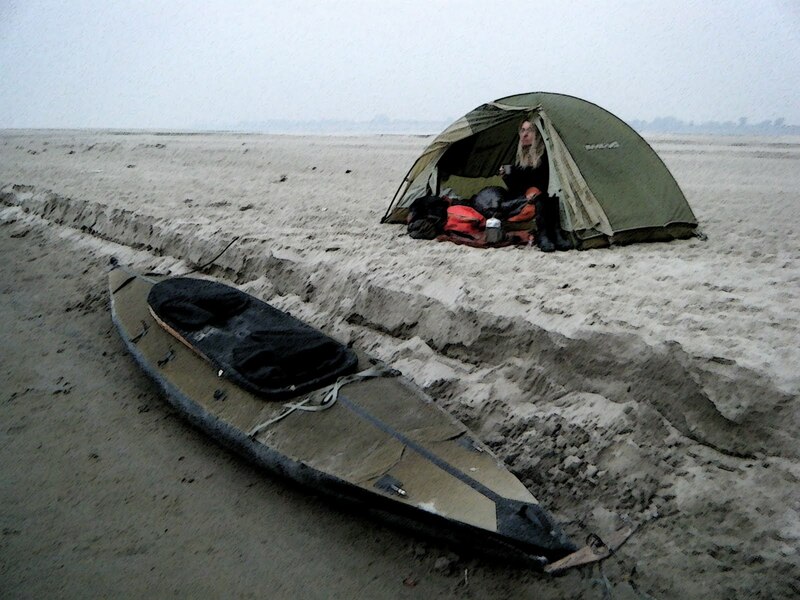 We used these foam matts to wrap around the wooden frames of the collapsible kayak for protection during transit. Folded up they made great kayak cushions and laid out in the tub of the tent they were a excellent insulator from the damp sand. Of course, as a picnic blanket and camp carpet, they were terrific. You can read about us on the Exped Blog http://www.expedlife.com/. We will be carrying the Exped line at the shop, which will be open by mid March. Come and have a look. 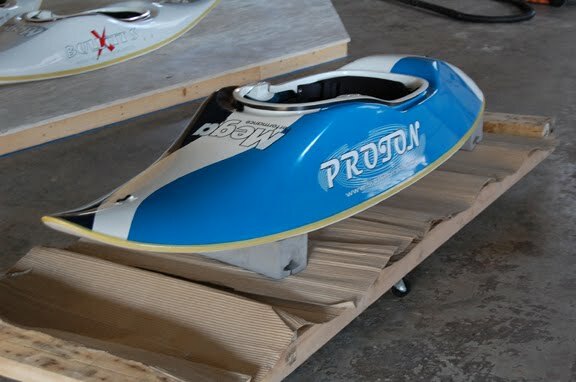 Two very nice surf boats up for grabs this week. Both boats are in excellent condition and going for a song. The Mega Neutron is almost brand new. Both are located in the Maryland vaccinity. I never did get the whole Epaulette thing. Too late to hoe now. No bikini babes with their paddles upside down here. This is one hot Sot in the right hands. No thigh straps, no fins, awesome waves, great photography and seriously shacked. Available only in Tahiti ?...not for long. 'By Canoe' Gets Cult Status. 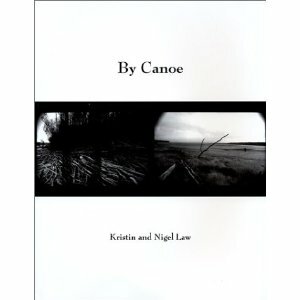 Our increasingly popular self published book 'By Canoe' seems to be becoming a collectible piece of kayak memorabilia. The book, written, designed and published by Nigel & Kristin Law is available on Amazon for $54 new, with used prices up to over $80 !! We were also very pleased to hear the book was also recently added to the recommended reading list for Expeditionary Studies students at SUNY Plattsburgh. Of course, you can buy it from us for $16, signed and with a personalized written note of encouragement. See, this is what happens when you get cult status before death....a marketing man's nightmare indeed. There are no plans for a reprint, but there is expected to be a follow up book...'By Kayak' coming in the Fall of 2015. Recommended by friends, I'm very pleased. The photography is phenomenal, and the way the authors portray their adventure is sometimes romantic, sometimes comical, sometimes surreal, but always exquisite. A great adventure, and a great book. 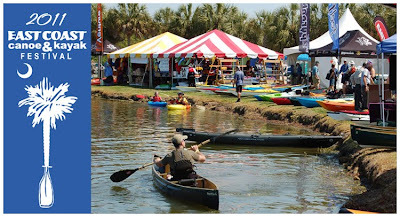 I will be at the event for the weekend teaching a couple of classes, but Savannah Canoe and Kayak will not be manning a booth this year. These are my class topics and outlines. This is a fundamentals and confidence building class for all levels, in any kayak, in a shallow water shore break environment. Sooner or later you will, intentionally or unintentionally, find yourself in ‘the surf zone’. In this class we will prepare you physically and mentally for this eventuality. As well as launching, we will practice both pro-active and passive techniques for landing on surf beaches. We will look at how best to capsize, getting to shore, and rescuing a swimmer. Energy and fun level is high. Ever thought about taking your SOT to the beach to play in the waves? In this presentation we will have a hands-on look at what makes a SOT ideally suited to this environment, and the best and safest way to go about it. Topics covered include surfing etiquette, rules of the beach, reading waves, and basic skills. We will also practice technique with the aid of a dry land surfing simulator.